For the last twenty years, the Balkan Journal of Stomatology (now the Balkan Journal of Dental Medicine) has succeeded in spreading and encouraging scientific thinking among dentists in the Balkans. 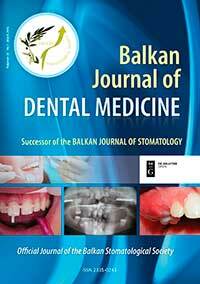 The Balkan Stomatological Society lies on strong foundations built with the professional cooperation and communication among peers, while the Balkan Journal of Dental Medicine in its written form bears testimony to the persistence, development and evolution of the scientific thinking in this region. The aim of The Balkan Journal of Dental Medicine is to continue the tradition of the Balkan Journal of Stomatology by promoting dentists’ efforts aimed at professional development and research throughout the region. In addition, the Journal seeks to introduce the world’s latest findings and achievements in dentistry to the Balkan region. So as to accomplish our mission, I am sure we will enjoy a great support from numerous eminent lecturers from the BaSS Congress and the assistance of the distinguished Editorial Board members, whose reputation and work guarantee high quality and respect. 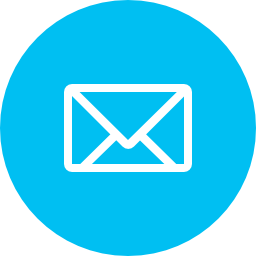 It is our ongoing mission to advance dental medicine and promote science by publishing high-quality papers relevant to everyday dental practice. The previous XIX volumes, numerous authors who have published their work in them and the bright future we strive for compel us to regard the Evidence-based Dentistry as both our goal and responsibility. To move with the times, we have joined the large community of open access journals, upgraded the design and prepared an online edition. Thus, we have provided scientists and professionals with an easy access to scientific papers as well as with the opportunity to contribute to creating the new future of the Journal. We are going to pay a special attention to young researchers, since we are eager to support their efforts in making the first steps in the world of scientific publications so that they can become the great future of dentistry. Science has no borders and it spreads across nations with an intention to broaden one’s horizons, assisting one’s need for success and arousing one’s curiosity. With its positive energy, scientific thinking occupies human mind purging it from everyday worries and leading it towards the light. This is why it is essential for ideas and achievements to be written down in order that they can become one’s incentive and challenge while being a part of the collective memory rather than a mere recollection or some unfulfilled plans of an individual. Prof. Dejan Markovic, D.D.S., M.S., PhD.